Bell is releasing a brand new, full-face helmet this January. It's not replacing the Bullitt, per se; for the time being it will sit beside it. It’s designed to be a bit more aggressive, a bit more sporty and purposeful. 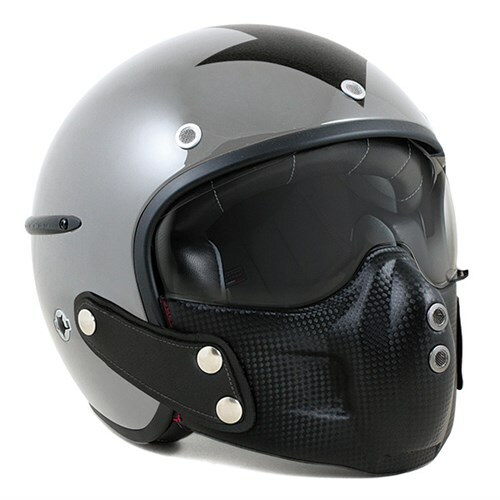 You could wear it on any custom bike, a café racer, scrambler, or bobber. It would also look cool on an sit-up bike from the seventies or eighties. Well, we got one from the US a few weeks ago, and we've been testing it ahead of its official European release. And so we've written a review that you can click below to go to. Or you can find the same review on the front page of the website. 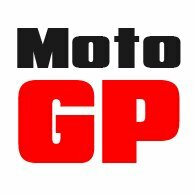 In normal Motolegends fashion, we haven't pulled punches; its a ‘warts and all’ review. 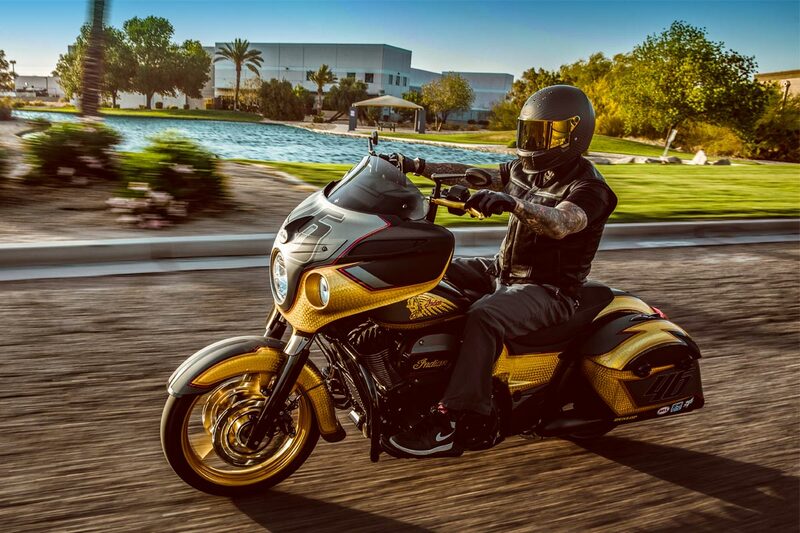 We actually like the helmet a lot, although only time will tell if it fits people better than the Custom 500 or Bullitt. But when you read our article, you'll perhaps understand why we have suggested that this is a summertime-only helmet. It's more about urban riding than touring and commuting. It's going to be pretty noisy, and more than any other helmet me know, it's one where you risk getting wet. We still love it, but we want everybody to know what it is and what it does before they take the plunge. 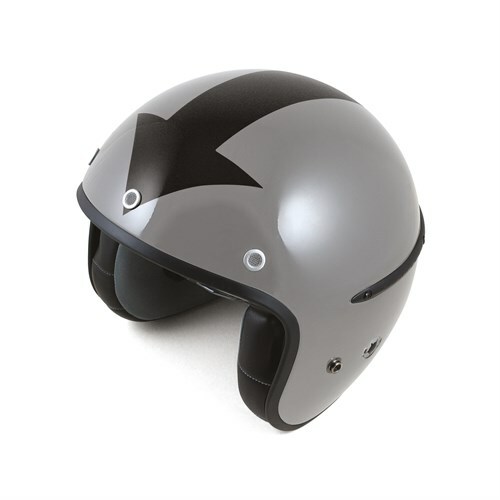 We also reckon that this is a helmet that, because of Bell's Idionsyncratic sizing, needs to be tried on before it is buyed (I know, by the way, that buyed is not a word, but it rhymes nicely with tried). 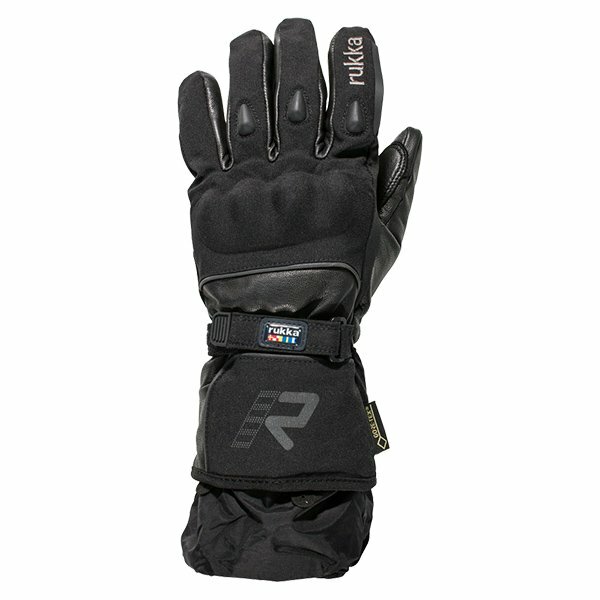 The Fiennes glove is brand new from Rukka. It's a winter glove, although it's probably not the warmest model in the Finnish company's firmament. But it does have a little trick up its sleeve; and we mean, literally, up its sleeve. And that's because it comes with a built-in Gore-Tex cuff. The theory of a Gore-Tex cuff is that the inner goes inside the sleeve of the jacket; the outer goes outside the jacket sleeve. It means water can't run down the jacket into the glove. Nor can it run up the glove from in front. And that's because the rain would have to negotiate a double u-bend. It's a great system that means your hands will stay totally dry. Just one problem. It won't work with most Rukka jackets which already have Gore-Tex cuffs in their sleeves. Did somebody not think this through? 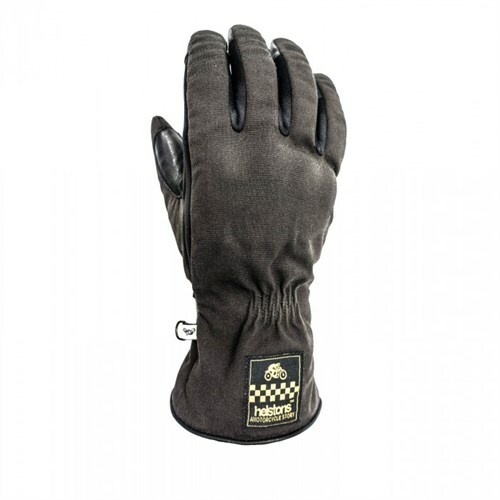 Anyway, as we always prefer with a winter glove, the outside of the Fiennes is textile, the palm in leather. The waterproof membrane, obviously, is by Gore-Tex, and there is a degree of thermal padding, but not so much that the feel is compromised. The glove has protectors on the knuckles, and in the scaphoid area. There's a visor wipe on the left index finger. We're not a pet business. We sell motorcycle apparel and safety wear, so I never imagined that, one day, we'd be loading dog jackets onto the website, and wondering how to work out what size coat a particular dog is going to need. Especially as we’ve only just got to grips with working out what size a human rider is going to need! The pet market is going to require a whole new set of skills. Yet here we are, and we're here only because of Rukka. We love the Finnish brand, we love their ethos, and we love the quality of their products. 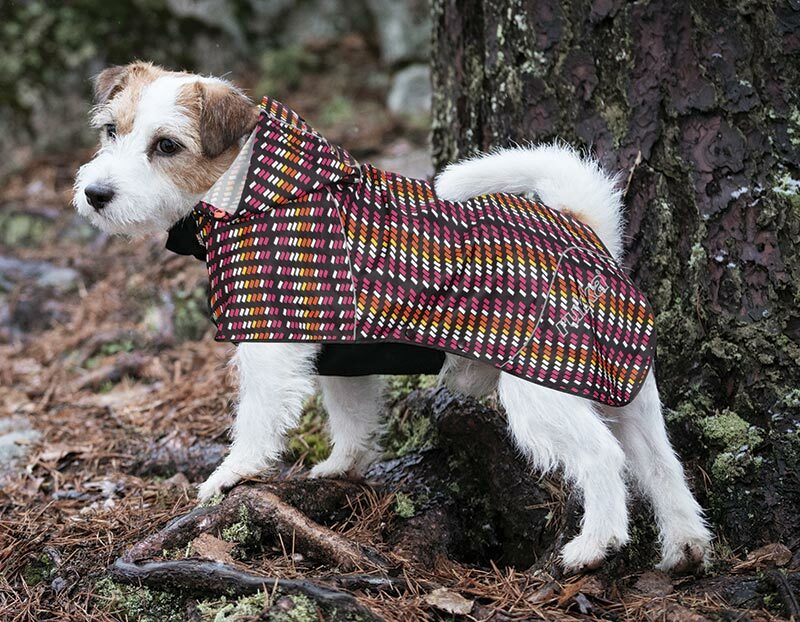 So when they told us that they made the world's best bike dog coats and jackets, we were so intrigued that we decided to take on pretty much the entire range. Interestingly, Rukka tell us that, on social media, their profile in the dog world dwarfs their position in motorcycling. For us, it's a bit of fun. We are always drawn to exceptional products, and we like dogs. If you want to avail yourself of some superior outwear for the mutt in your life, click below. Made from full-grain goatskin, the Braco has a slightly longer cuff than some Helstons gloves. The leather has been treated with oils and waxes to give it a particularly soft handle. There are concealed protectors in the knuckles, and in the palm you get Kevlar strands for added abrasion resistance. 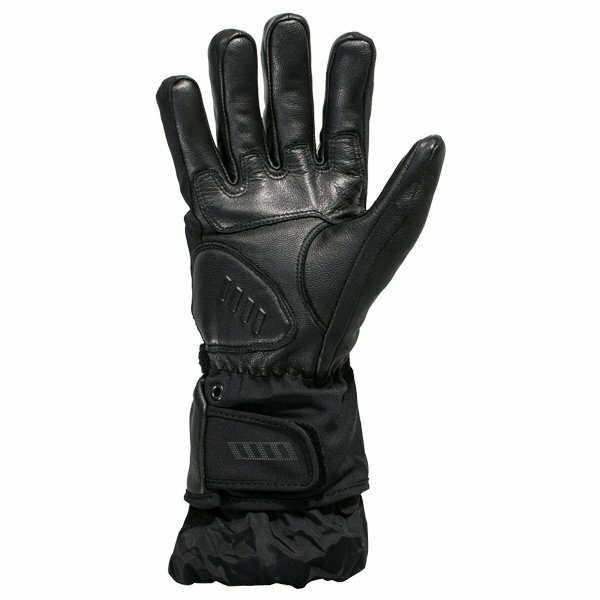 The Braco glove is equipped with a waterproof membrane, and comes with a high-quality Primaloft thermal lining. The wrist closes by means of a Velcro strap. The Harisson Corsair is a beautiful helmet that, even we, sometimes overlook. Everybody starts out wanting a Bell. Many end up with a Shoei because of the fit. The various Shark open-face helmets have their devotees. And so sometimes we forget about the Harisson, which is a shame because it's a cracker. It's lightweight, fits really nicely, is beautifully finished and has a totally unique look. Recently, Harisson has improved the straps that fasten the face guard to the helmet. And it is a great improvement. It's much more solid. Now, a few weeks ago, we took on a new design for the Corsair that we really like. It's grey with a black arrow running from the front to the back. It reminds us of the helmet worn by the Red Arrows. Maybe they'll do white with red next. Anyway, we love the Corsair, and we like this new graphic too. For years I rode around on the bike wearing a replica Irvin WWII flying jacket. In fact, I still do. I figured that if it was good enough for Ted Simons, it was probably good enough for me. Helstons has taken the idea, and turned it into a proper motorcycle jacket complete with shoulder and elbow armour. They’ve redesigned the cut to make it work when you’re riding a bike, as opposed to flying a Spitfire or Hurricane. It works, but what also has to be said is that it looks totally pukka. 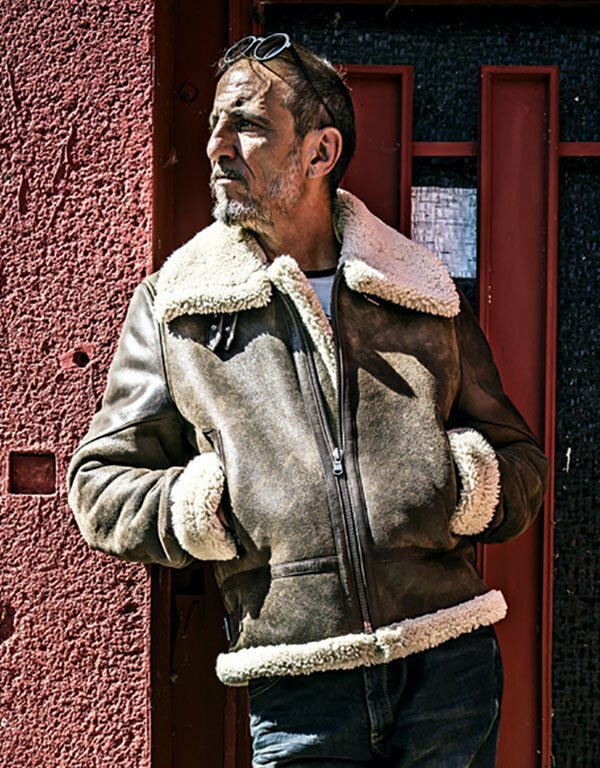 It’s made from sheepskin with leather detailing, and a shearling lining. It has two pockets on the outside, and two inside. And you get buckle adjusters at the waist and sleeve ends. Having ridden the bike in an aviator’s Irvin, I can tell you that it’s really warm in the colder months, but surprisingly cool in the summer. Just undo the zip a little and air flows around the jacket in a most agreeable fashion. Particularly impressed too, we have to say, with the cut on the ladies version. Okay, it's never going to look properly fitted, but it shapes nicely and doesn't balloon anywhere. 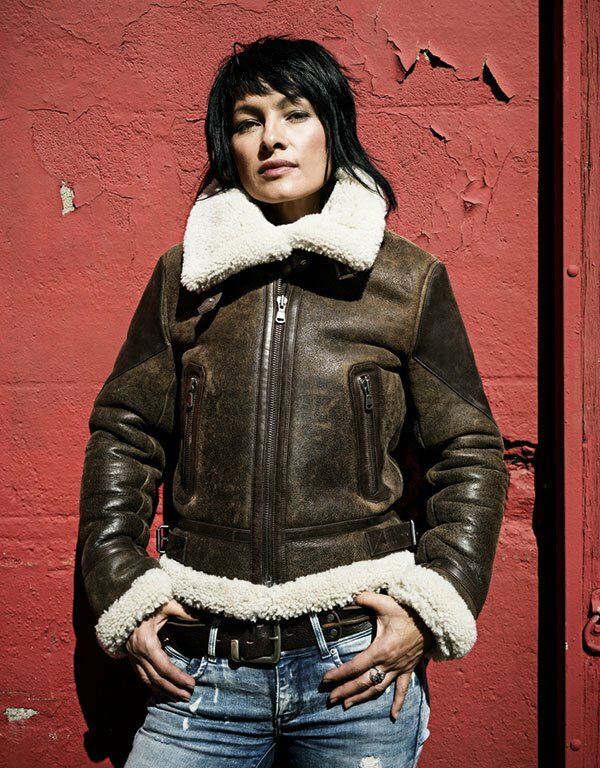 The Hurricane is the men's version, by the way; the Spitfire is the ladies' jacket. We know this style of jean is popular on the continent. And we've seen similar looking jeans from people like Ugly Bros that offer nothing at all by way of abrasion resistance. The Purdey jean from Furygan does have an aramid, abrasion-resistant panel across the seat. It takes D3O armour in the knees and hips, but there's no lining in the legs. 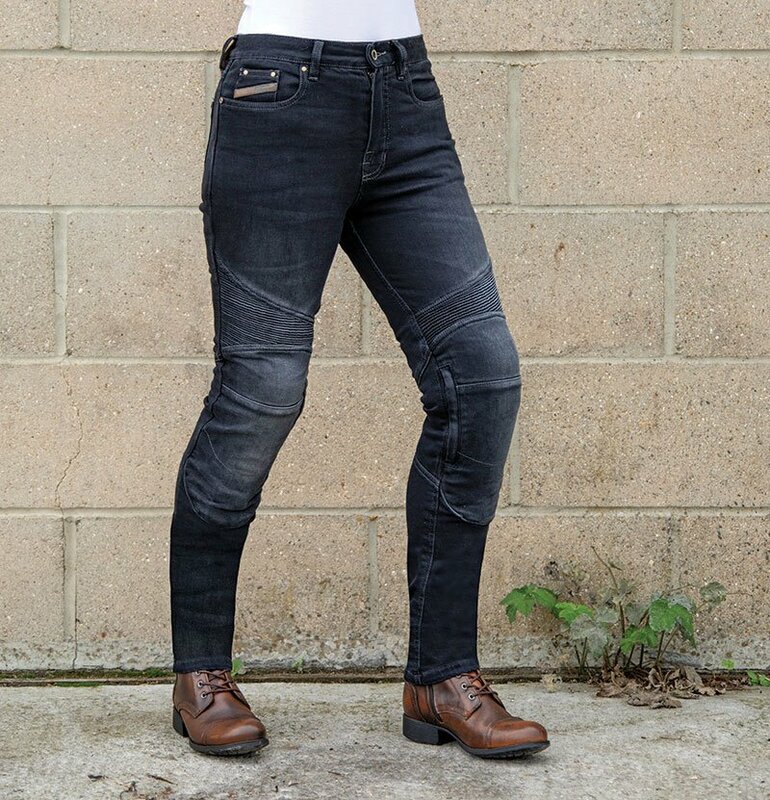 It's a great-looking and great fitting jean because of the stretch in the material but, even though this is a fully CE approved pant, we would have to say that, in our view, it's more of an urban jean than something you'd wear on a motorway. One nice feature is that the armour fits from the outside, so it can be easily removed if you want to walk around without it. The good news is that it’s now in stock. 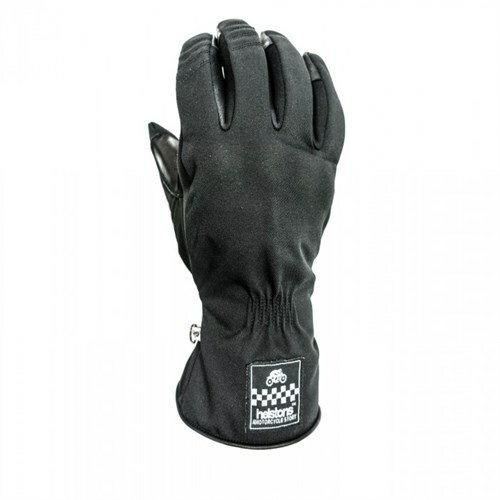 Helstons is not so well known for its textile gloves, but they recognise that, in the winter, some people prefer to ride in a cool-looking, textile glove rather than a leather one. And there aren’t many cool, textile gloves around, especially if you don’t want black. 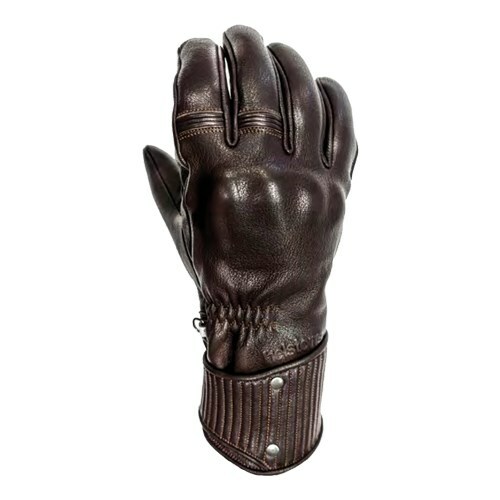 The One glove has a textile upper with a goatskin palm. There’s a concealed protector for the knuckles, whilst the leather palm is reinforced with Kevlar. The gloves have a waterproof membrane, and come thermally lined with Primaloft. The wrist fastens with a Velcro strap. 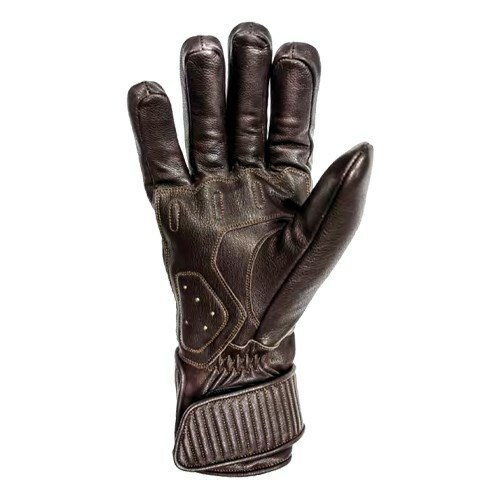 What makes the glove even more noteworthy, as we’ve hinted, is that it comes not just in black, but brown too.